Looking To Save Gas, Malaise Style? 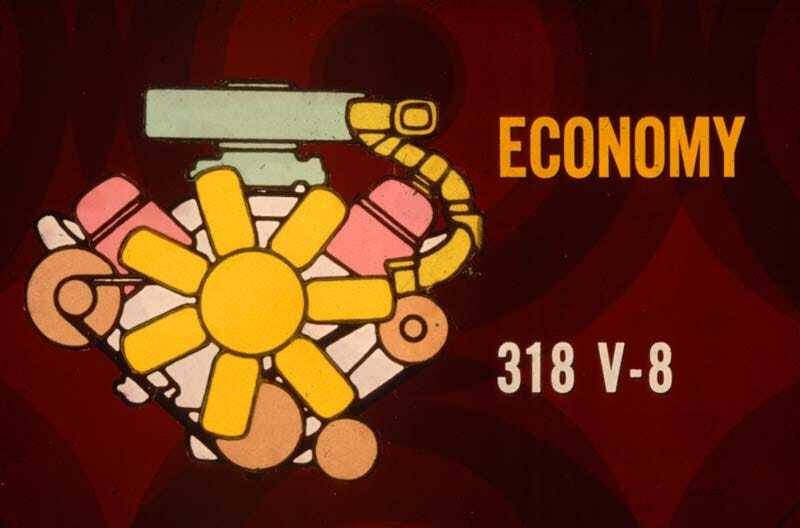 The Crisis Of Confidence feel of the last mid-70s Chrysler promotional slide seems to have struck a nerve, so today we're going to look at Chrysler's 1974 answer to high gasoline prices: the 318 V8 Engine! Put one of these in your Monaco and enjoy the penny-pinching feeling of 14 MPG highway!